I got a new camera just before leaving for vacation, so you'll see some references to photos being taken simply as experimentation. All of the photos have been reduced dramatically so that they will load more quickly in your browser. If you see photos that you would like to have a higher resolution, let me know and I'll send it. Then you can sell it to National Geographic and make a lot of money (ha ha). We didn't have a very detailed plan for the trip. We like to have some idea of what we want to do, but not be on so tight of a time schedule that the schedule becomes a burden. It actually worked out pretty nicely this time. It takes a fair amount of time to put this blog together (writing, editing photos, etc.) and so I will typically post it before it is complete. So it you are looking at this early on, you will likely want to come back and look at it later. When I make changes, I will post items on the News page so you can periodically look there to easily know when updates have been made. Connie actually took more photos than me, and so many of them you see here in the blog are hers. I've noted the photo credits for her. Left about 10 AM. Drove through Louisville, to Nashville. 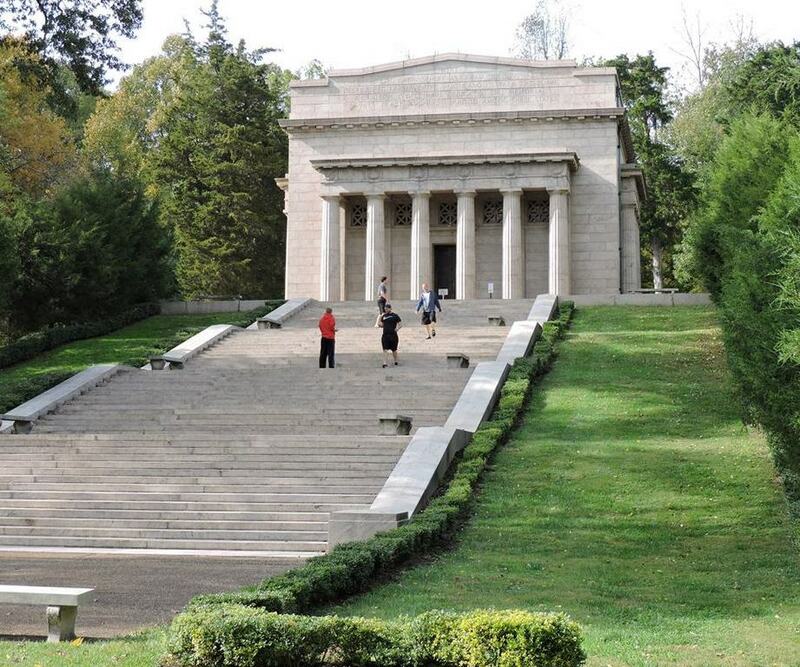 Just south of Louisville, we stopped at the Abraham Lincoln birthplace memorial site. We had made no plans for that, we simply saw the sign on the interstate and decided to stop. It was a chance to have a break from the car ride and it was an interesting visit. We saw a short video about his parents, and his birth there in KY. Then walked up the 56 steps to the memorial that encloses the cabin that might look like his birth cabin. It was a cabin that on a farm a mile or so from this location when back in the late 1800s. The own toured the cabin all around the US as the Lincoln birth cabin. When it finally returned to KY, they built this large memorial and put the cabin inside. 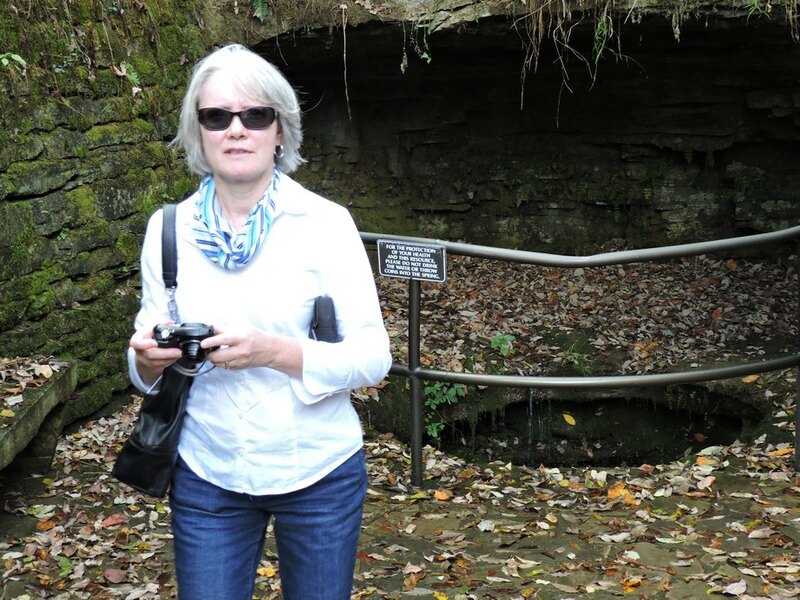 At the foot of the hill that the Lincoln family lived on, there is a natural spring that drains into a cavern. We went down to the spring and cavern. You can see that Mrs. Boyd was impressed. Since I had the new camera, I felt the urge to take more pictures, so I snapped one of the car. So this stop made a nice diversion from a long drive, but we were soon back on the road to Nashville. We arrived right at rush hour and the traffic was bad going out of the city. Our hotel was South of Nashville so we were going to be in thick traffic going South, so we decided to go into downtown and eat dinner, thus avoiding the traffic. It wasn't a bad plan but we weren't finding any place to park downtown, so we left downtown and headed for the hotel (Hilton Garden Inn in Smyrna). It turned out that there was a Ruby Tuesday's right next to the hotel, so we walked over there for dinner. It was threatening a heavy storm. I check the weather radar on my phone and there was a severe storm headed our way. It was just a matter of how bad and when it was going to hit. We wondered if we were going to have to walk back to the hotel in a rain storm. It turned out that by the time we finished dinner (we had desert to drag things out a little bit) the rain had nearly stopped and we walked back without getting drenched. 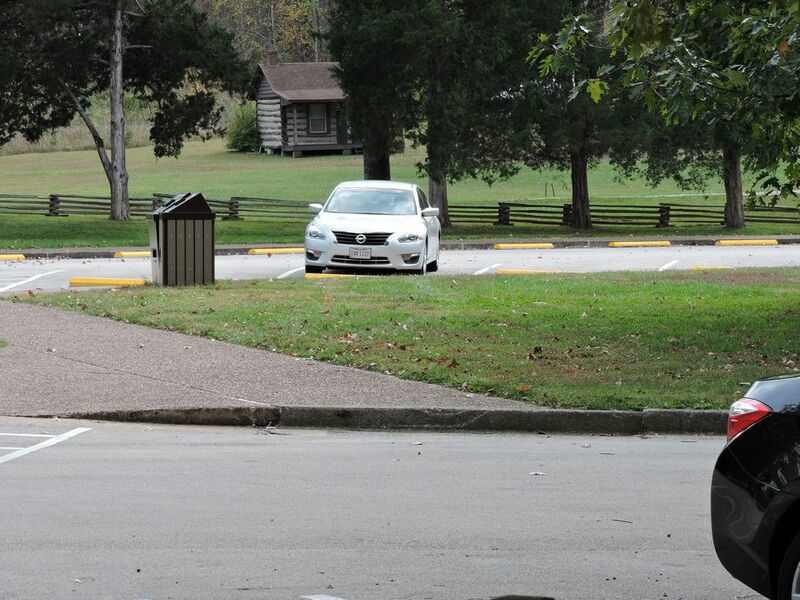 Oct 15 - Natchez Trace part 2, Tupelo, MS.
Oct 20 - Drive from Forest City, AR, to home. - Averaged about 34 mpg, so we burned about 93 gallons of gasoline. Expressway driving in Houston vs. Tennessee: In Houston when the speed limit is 65mph, the main flow of traffic will be at 64mph. In Tennesse, if the speed limit is 65mph, the main body of traffic will be going 73mph. If the speed limit is 55mph, the main flow of traffic will be going 73mph. Just an observation. You draw your own conclusions. Bad Gas? We got gas at a very low price in Houston (actually Pasedena, TX). The fuel economy on the car went from about 34 mpg, down to 31.2 mpg over the course of that tank of gas. When we got another tank of gas, it started climbing back up and by the time we got home, we were back to 34 mpg. Must have been a lot of ethanol in that gas.